Rice production is increasing steadily, making Cambodia important exporter. Other important food crops are corn, soybean, mung bean, cassava, mango, pineapple, jackfruit, durian, rambutan and banana. Alpha International Corporation Ltd was set up as an investment-consulting firm in Phnom Penh in April, 2004. Founded by a Cambodian-born Japanese citizen, the company later started a trading business and launched resort-management services in 2009. It has also been managing and leasing office buildings since 2011. The team can handle any project through its extensive knowledge of Cambodia and a wide-ranging network spanning both the public and private sectors. With local expertise and international talent, Alpha is capable of working in Japanese, English, French, Khmer, Vietnamese, Thai, Mandarin and Korean. The company has been involved in more than 100 projects in sectors ranging from agriculture, food & beverage, education, hospitals, hotels & resorts to garment & electronics manufacturing, real estate, trading & retail, electricity and oil & mining. As of 2017, Alpha had been involved in consulting and advising investment projects worth more than $1 billion. ALPHA International Corporation is a locally based business and investment consulting firm bringing seasoned experience and nurtured connections to both the private and public sectors. Our company was established in April 2004 and has been involved in more than 100 projects. With more than 50 permanent staff, our interdisciplinary team has local expertise and international talent committed to providing reliable information, solid connections and all consulting and advisory support needed for your long-term growth and success. We provide the best consulting, beyond expectations. For companies seeking to establish a presence in Cambodia, Alpha’s experts can help with business start-ups, operations and construction permits. Alpha Tower 1 is a 10-storey building in the heart of Phnom Penh providing office space, furnished offices, virtual offices, meeting rooms and multi-purpose halls. The company has its own law office, a member of the Bar Association of the Kingdom of Cambodia. For any legal matters, contact Alpha’s lawyers. You will receive regular emails regarding updates and reports which might be relevant to the business & investment situation in Cambodia. And hopefully it could be helpful for decision making and planning. Hoang Anh Gia Lai (HAGL), which last month became the first company to officially export bananas from Cambodia, has secured more orders for the fruit and will ship another 100 tonnes of bananas from its plantations in Ratanakkiri province today, a company representative said. The order will be transported overland to port facilities in Vietnam and then loaded onto a container ship bound for its buyer in China with final destinations potentially reaching Japan and European Union markets, according to Thach Quanh Tha, director of administration for HAGL. HAGL is a Vietnamese conglomerate that operates in property, mining, commercial agriculture and hydropower. 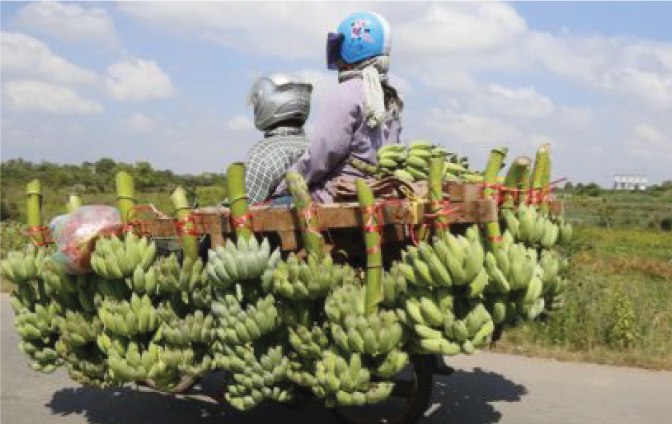 The company owns a total of 1,000 hectares of banana plantations in northeastern Cambodia through three of its subsidiaries, Hoang Anh Andong Meas, Hoang Anh Romphat and Hoang Anh Daun Penh Agrico. Thach said banana cultivation was part of the agro giant’s efforts to diversify its Cambodian operations beyond rubber and palm oil. He said the company has invested in planting 14 different types of fruit for export and plans to deliver the first international shipment of dragonfruit in September. 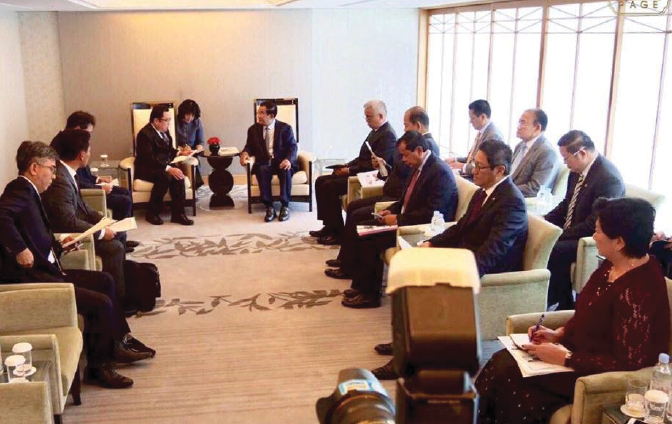 The courtesy meeting was aimed at attracting more Japanese investors to invest in Cambodia in manufacturing sector in order to contribute to income and job creation for Cambodian people as well as income for Cambodia as a whole. Since the relationship between Cambodia and Japan has always been on good terms, it builds more confidence for Japanese investors to invest more in Cambodia. 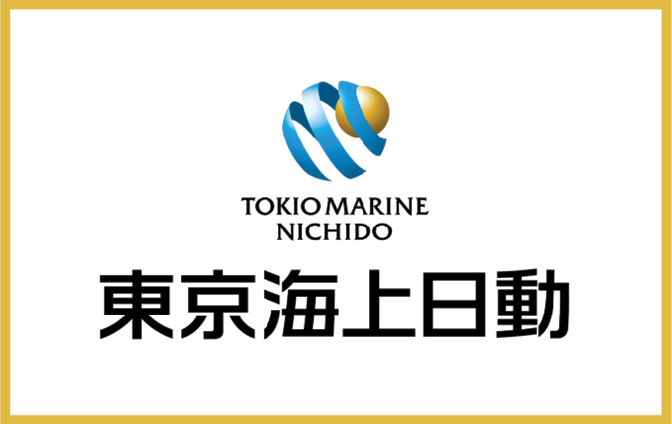 Japanese insurer Tokio Marine & Nichido Fire Insurance Co has opened a representative office in Phnom Penh to explore the insurance market in Cambodia and offer its non-life insurance products to Japanese companies operating in the Kingdom through referrals by its affiliated local insurers, according to a company press release. The insurer said the new representative office in the capital would be used to collect information on Cambodia’s insurance market, which has been expanding steadily as a result of the country’s rapid economic growth. Cambodia moved a step closer to becoming an oil-producing nation yesterday after the government finalised its long-awaited production-sharing agreement with Singapore-listed KrisEnergy to develop the country’s first oil field. 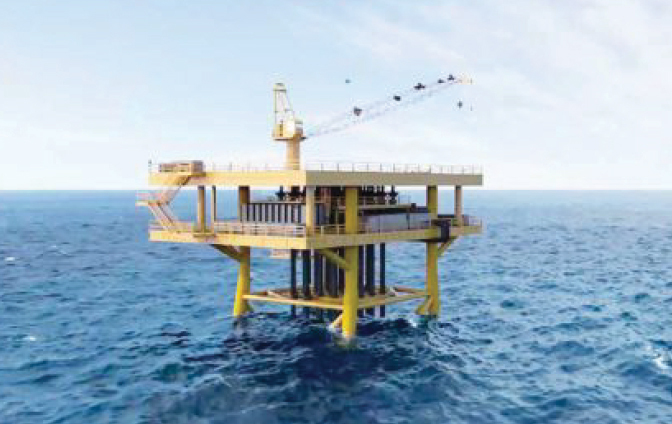 KrisEnergy has been the operator of Cambodia’s offshore Block A in the Gulf of Thailand since purchasing the stake of departing US energy giant Chevron in 2014. The company has applied to develop the block’s Apsara oil field, where Chevron first struck oil more than a decade ago. According to the fiscal and technical agreement, KrisEnergy has 60 days to declare a final investment decision that outlines the investment cost for Phase 1A of the Apsara Oil development project, and would start extracting crude sometime in 2019. Under the revised terms of a petroleum agreement first inked with Chevron in 2002, the government retains a 5 percent interest in Block A.
if you have an acount with us,pleas login. By creating an account with our store. you will be able to move through the checkout process faster. Store multiple shipping addresses, view and track your orders in your account and more. Your new password will send to your email. Copyright 2004 - 2018 ALPHA International CorporationLtd. All right reserved.